On September 28, 2005, The Education Policy and Leadership Center honored Dr. Paul Hess with the Edward Donley Education Policy Leadership Award at the Center’s annual awards dinner. 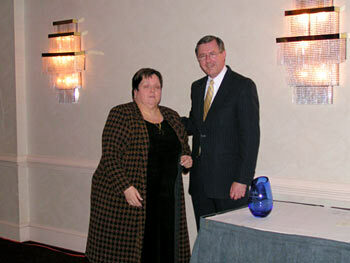 Dr. Hess is the Senior Advisor to the Speaker and Majority Leader in the Pennsylvania House of Representatives. She has served as a member of the House’s legislative staff since 1982. Prior to that, Dr. Hess taught grades 6-8 in the Cornwall-Lebanon School District, served as the Federal Curriculum Coordinator with Task Force New Arrivals (Vietnamese Resettlement) at Fort Indiantown Gap, served as Director of Professional Development with the Pennsylvania State Education Association, and as Government Relations Director with the Pennsylvania Association of School Administrators. 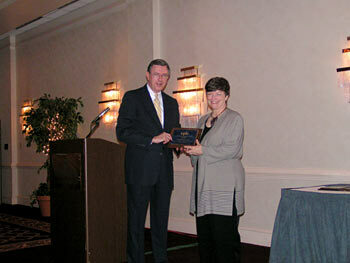 The Center also recognized with the EPLC Partner Award the Pennsylvania State Education Association (PSEA) and the Association of Pennsylvania State College and University Faculties (APSCUF). APSCUF has been a very significant financial supporter of EPLC. For several years, an annual grant from APSCUF has helped to support all of the policy and leadership development activities of EPLC including the statewide Pennsylvania Education Policy Forum breakfast series and the annual conference. 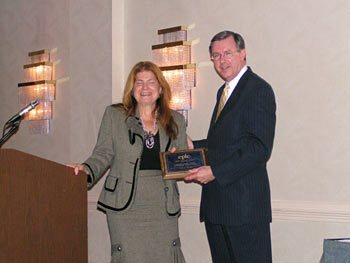 APSCUF has been recognized as a Gold Level sponsor of the EPLC conference since the event’s inception. In addition, APSCUF staff members have participated in the Center’s Pennsylvania Education Policy Fellowship Program and APSCUF representatives have been valuable advisors for Center policy projects. 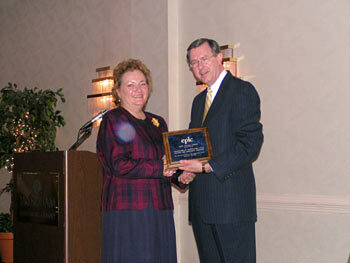 PSEA has been a very important partner for EPLC during the past seven years. During 2004 and 2005, PSEA has been a Gold Level financial sponsor of EPLC’s annual conference and supported very significant conference participate by PSEA members and s staff. For seven years, the Association also has provided financial support and speakers for the EPLC-conducted Pennsylvania Education Policy Forum breakfast series. PSEA also has been an important voice in the Center’s Education Funding Advocacy Group and a valued advisor in EPLC study groups focused on Teacher Quality and Supply, K-12 Governance, and K-12 School Leadership. Additionally, PSEA officers have contributed to the Center’s Pennsylvania Education Policy Fellowship Program as both participants and seminar speakers. 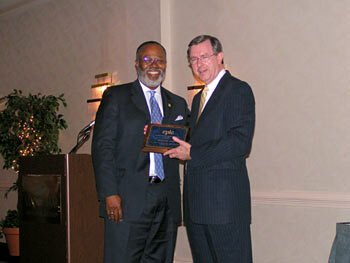 In addition, the Center presented the EPLC Leadership Program Alumni Award to Sylvester Pace and Jean Dexheimer. Sylvester Pace is the Executive Director of the NEED Scholarship Program. He graduated from EPLC’s Institute for Community Leadership in Education with the Pittsburgh class of 2000-2001. Jean Dexheimer is the president of the board of directors of the Wilkinsburg School District. Jean completed EPLC’s Education Policy Fellowship Program in 2001-2002. Click on a photo to view the next one in the series.